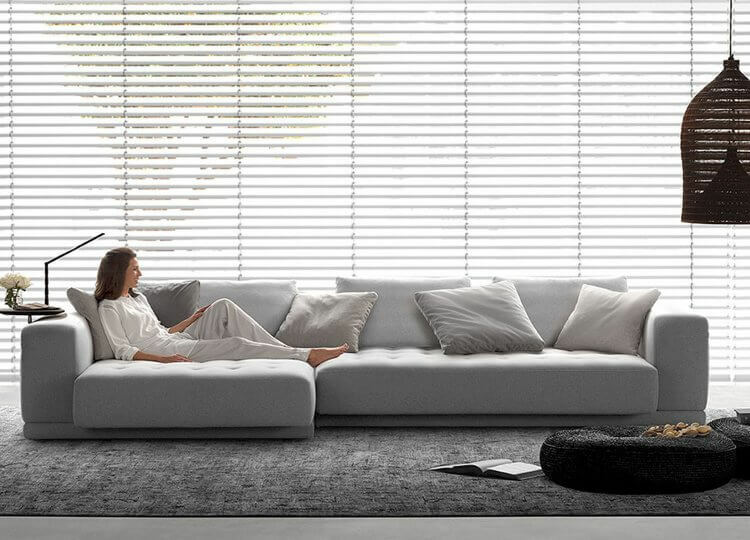 A sofa isn’t just an investment piece for the home; it’s an expression of your interior style. 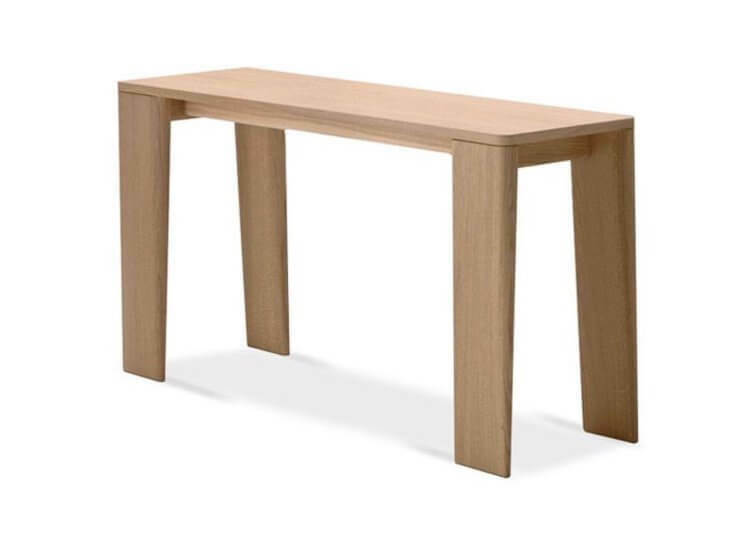 As one of the most highly-trafficked pieces of furniture in the home, it’s a piece that should stand the test of time and continue to feel as aligned to your personal interior preferences well after the initial trend has passed. 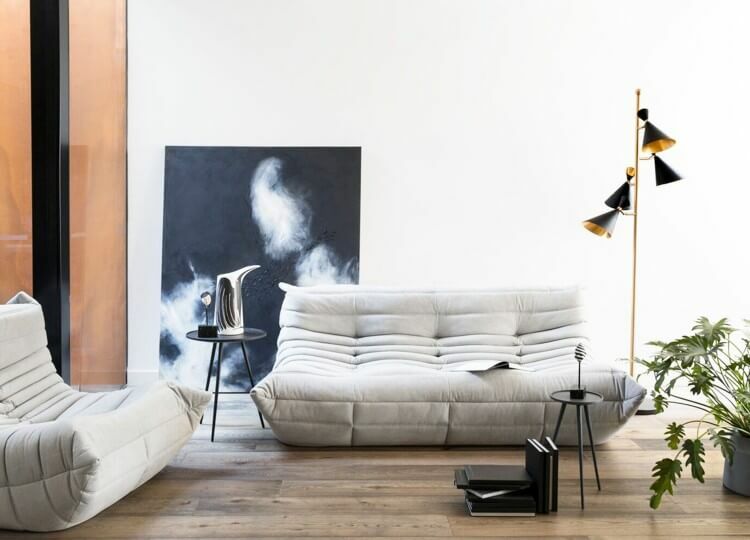 Being somewhat trend-averse here at est, we believe that choosing items that find the sweet spot between personal taste and the need for long-lasting function is your best bet at a truly timeless sofa. 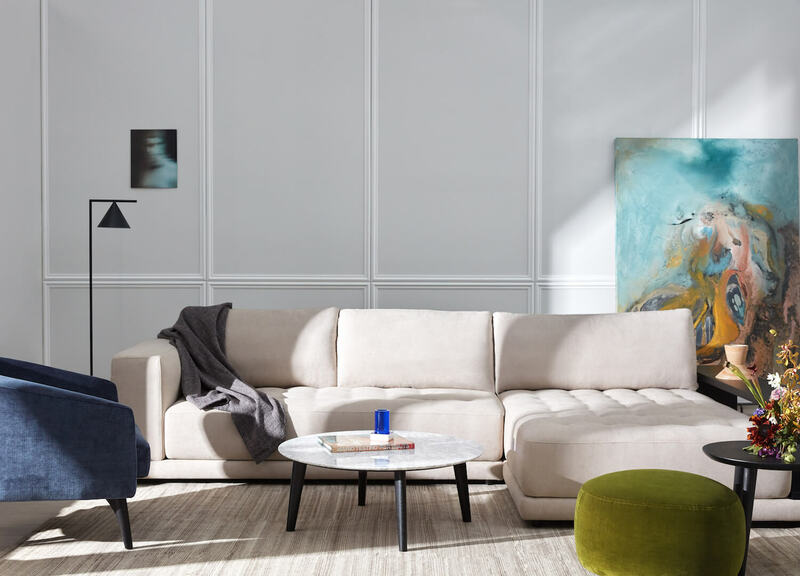 To put our hypothesis to the test, we called on our friend Jack Milenkovic to bring four different looks to life using the one sofa – in this case, the Felix sofa by King Living. Touted as ‘the ultimate sofa to relax and unwind’ on, this collection of four very different aesthetics demonstrates the right sofa really can shine through in any style or space. 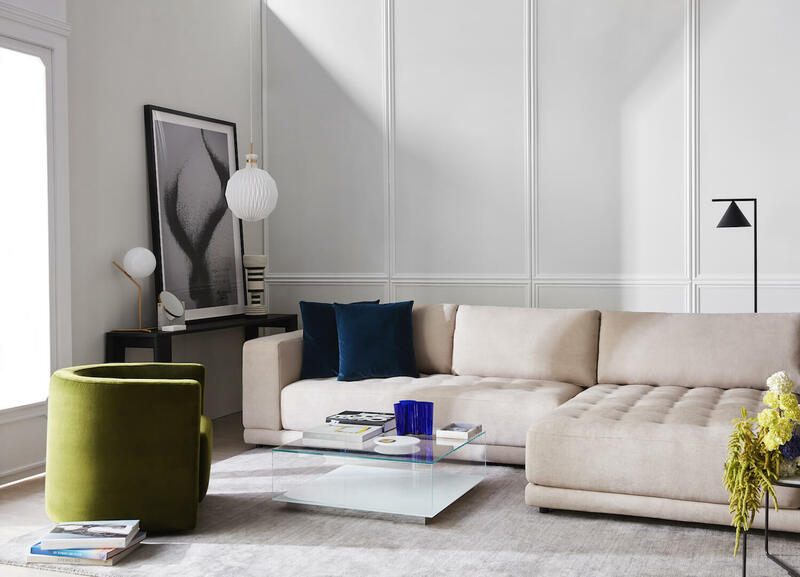 Classic white panelled walls, eclectic art and lighting and material accents such as velvet and glass establish an effortless European aesthetic, nicely complemented by the sofa’s neutral shade and premium fabric upholstery. 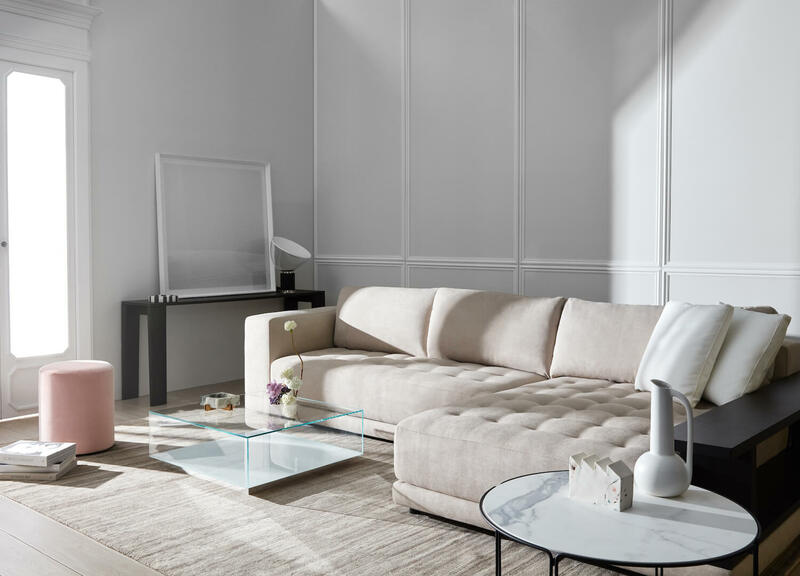 Though a lower sofa might look more relaxed than refined, the clean form of the Felix pairs nicely with the lower coffee table to exude a sense of sophistication. 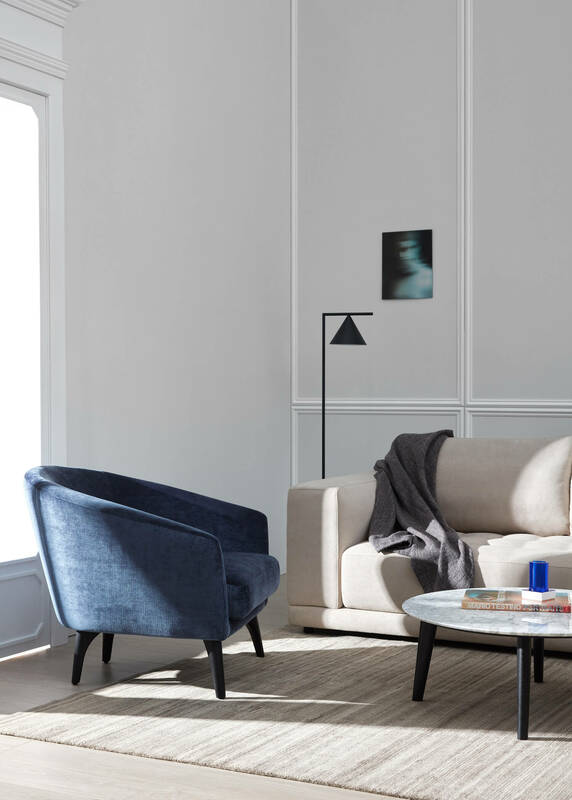 To create this style, we paired the Felix sofa in Luxe Fox fabric with a Congo timber arm with lamps by Euroluce, Kaare Klint 101 Pendant by Great Dane, the Fil side table, Miss coffee table and Keel Console from King Living, dark blue vase by iittala and ceramic vessel by Boffi. 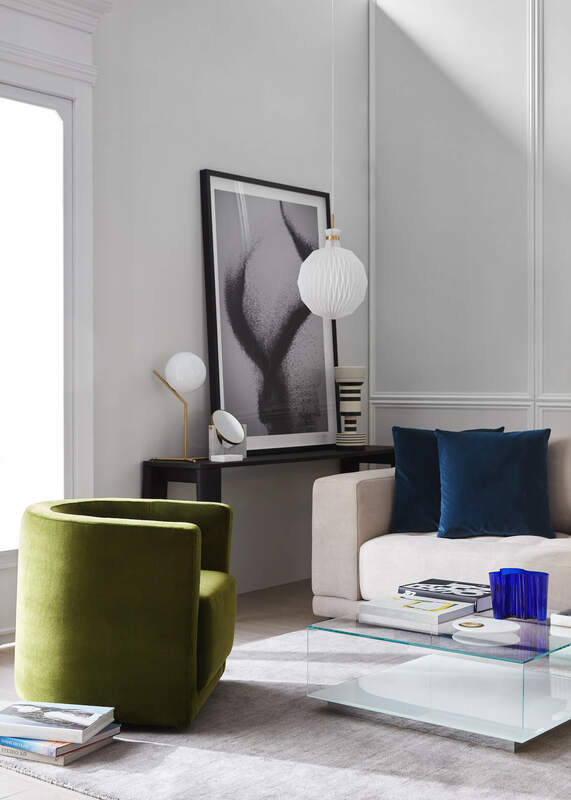 Velvet touches were added with the Velvet Duke Cruise in Panama Square cushion and Oliver Tub Chair in Duke Fern fabric, both by King Living, while the striking artwork is by Nick Leary, titled ‘Sand Movement 1’. Popcorn and Plaster of Paris (eggshell acrylic) paint by Porter’s Paints, rugs by King Living and floral arrangements by GHOSTFLWR were used throughout. With its modular frame and deep seating, the Felix offers plenty of space for growing families to enjoy. Its ability to extend and restrict its seat and chaise enable it to easily shift in scale to accomodate everything from family movie nights to the post-kid’s bedtime wine and unwind, and its generous proportions encourage playspace with lower set coffee tables like the Fil coffee table or an ottoman like Crescent Medium Ottoman for additional softness. 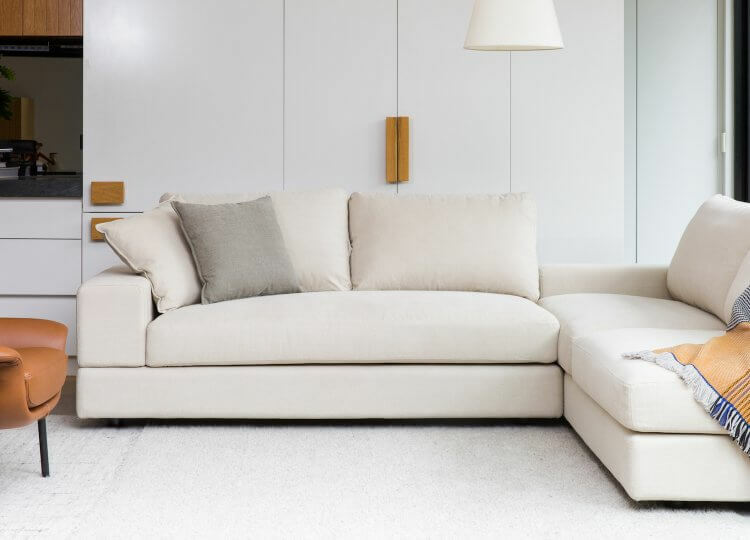 And while a light-coloured sofa might strike fear in the heart of any parent, like all King Living sofas the Felix’s covers can be professionally removed, cleaned or replaced, ensuring the longevity of the piece. 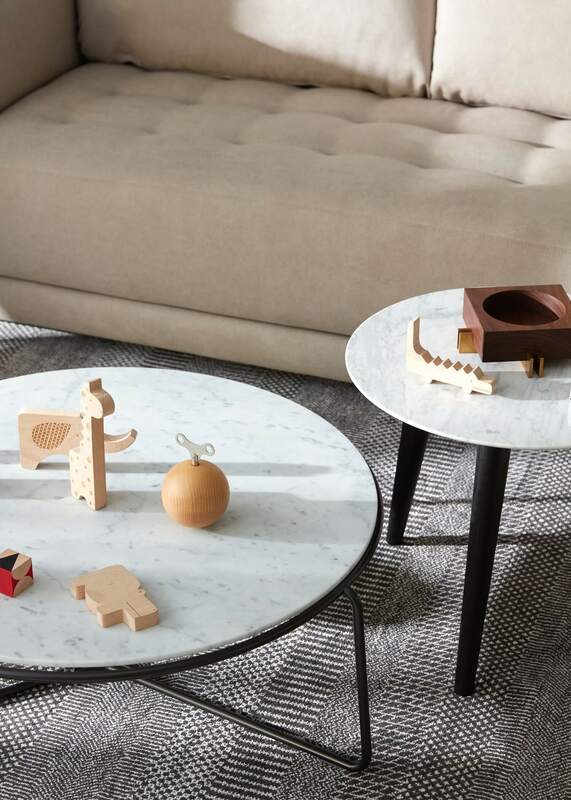 To create this style, we paired the Felix sofa with a lamp by Euroluce, Panama cushions in Mies Chalk and Duke Cruise, ‘Monochrome Patterns 8’ artwork by Nick Leary for King Living and some wooden toys such as a music box from Great Dane. And for a family-friendly armchair that still brings a touch of luxury, we added the Seymour mid back in TrueTouch Schwartz leather designed by Charles Wilson from King Living . 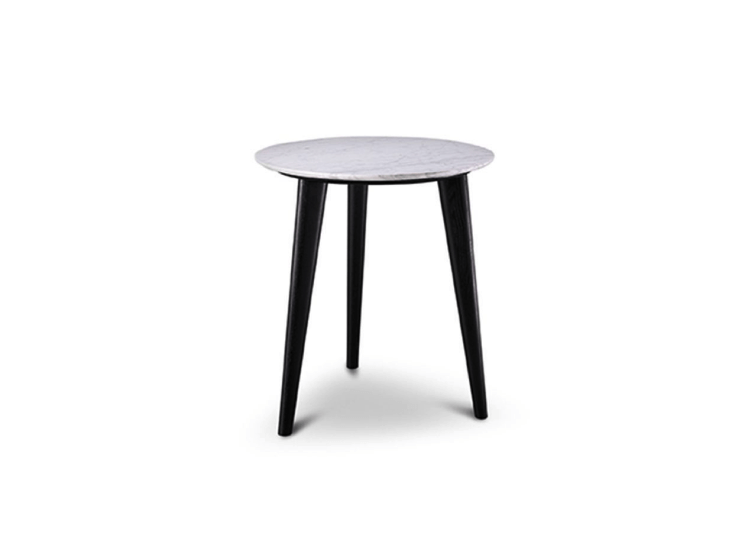 When it comes to a minimalist aesthetic, less may be more but that also requires the less to work more. 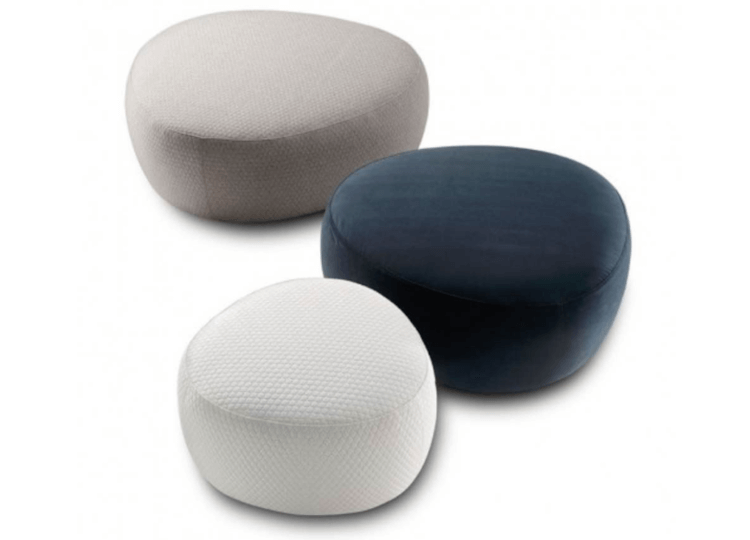 A modular frame sofa like the Felix offers a myriad of ways to work within a space, and the simple light grey shade of fabric chosen here melts gently into the soft shades of this setting, softly juxtaposed with a pop of blush pink with the Bongo storage ottoman in Copenhagen Petal to add a subtle femininity. 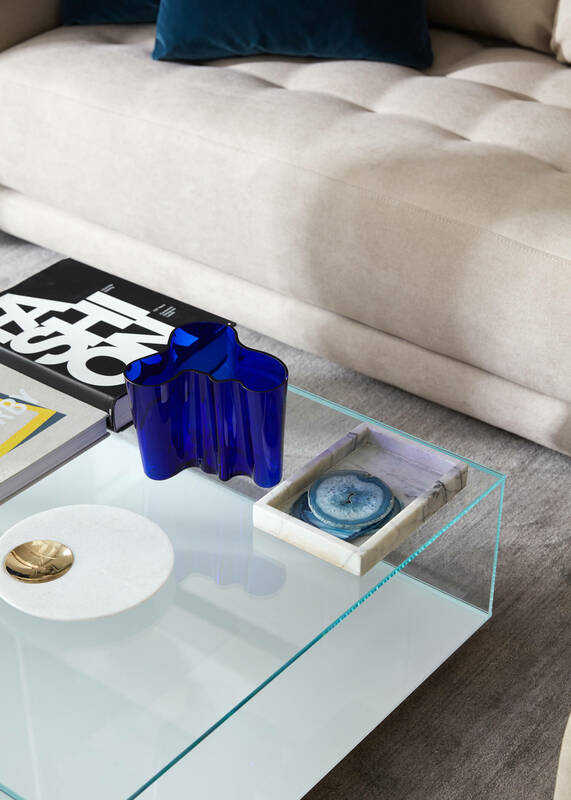 The Felix also boasts clever hidden storage for smaller items, so you can continue the illusion of uncluttered sophistication while keeping everything in its rightful place. To create this style, we paired the Felix sofa with soft, modern features such as the Miss Coffee Table, artwork by Chris Warnes courtesy of Otomys and an Arc lamp from Euroluce, balanced with striking handcrafted details such as the AG table by Adam Goodrum and ceramic sculptures and jug from Jam Factory Adelaide. 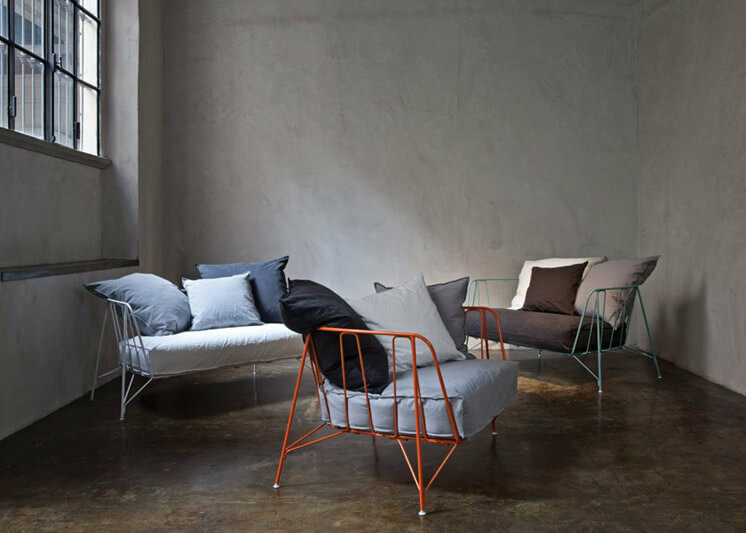 Soft touches are added again with the Panama cushions. Australian style has come of age these past few years. 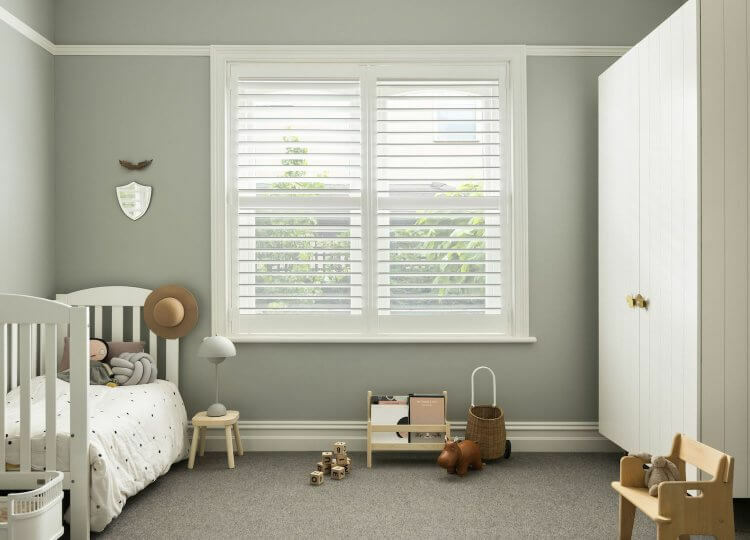 No longer the byproduct of other global design trends, the modern Australian style unites masculine shades like navy blue and moss green with natural materials and confident forms to create a refreshing aesthetic. Where our European counterparts might favour white on white, Aussie style doesn’t balk at some bolder colours, prints or design touches. 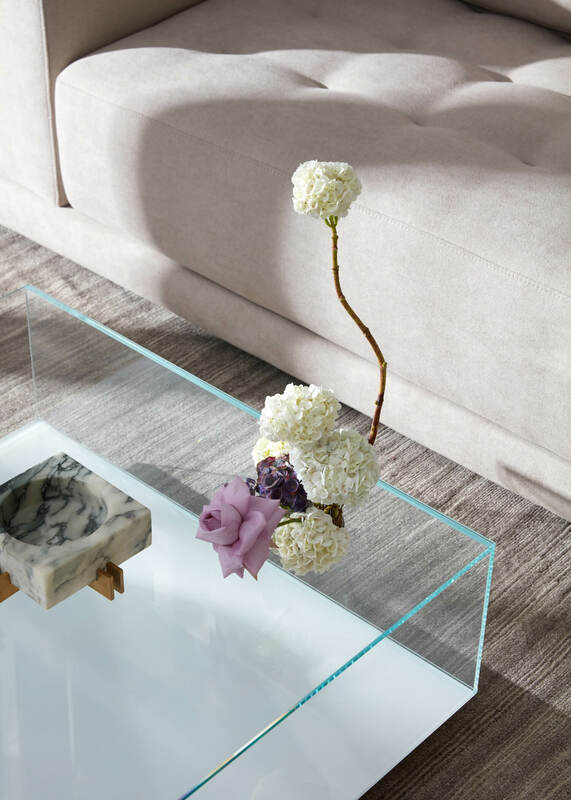 Here, the Felix is a backbone to a dynamic display of colour, form and texture, its simple shape balancing the furniture, artwork and floral elements on show. 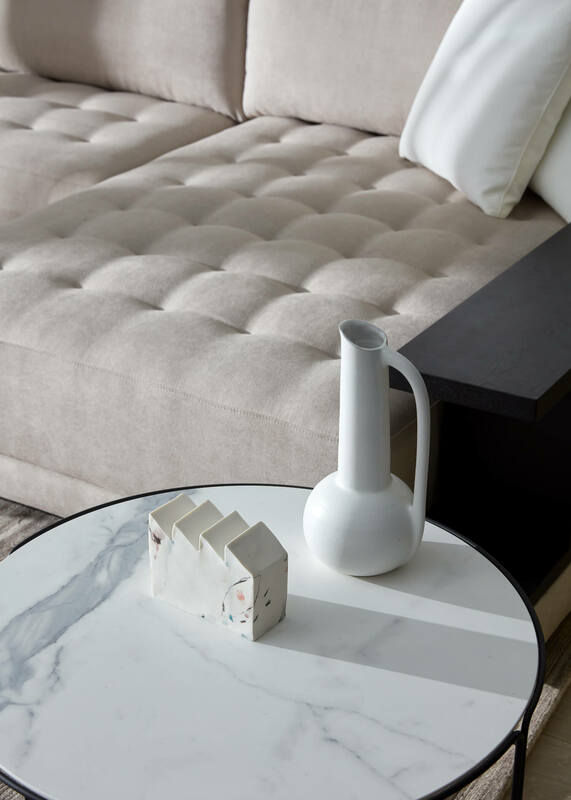 To create this style, we paired the Felix sofa with the Crescent Coffee Table in Carrara Marble, Boulevard armchair in Vivaro Fabric, Crescent Ottoman Small in Duke Fern and the Matt Black Captain Flint lamp available through Euroluce. 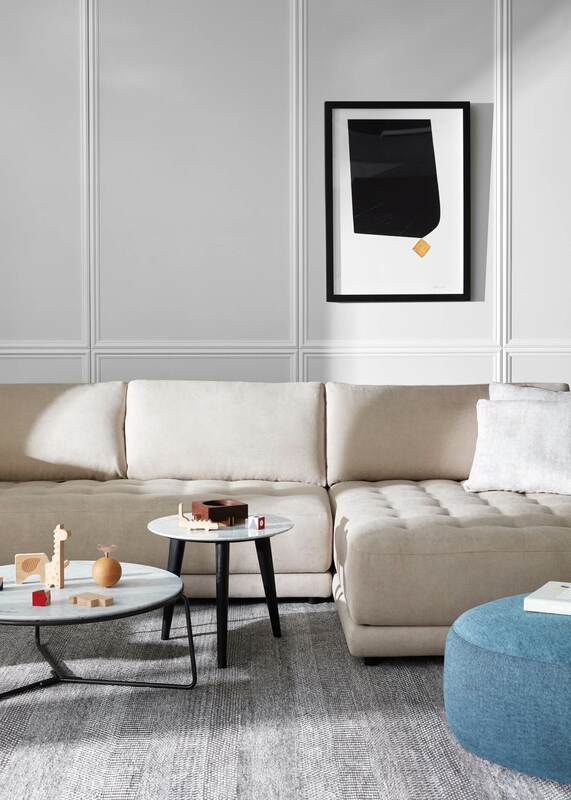 And of course, no contemporary Australian space would be complete without a standout piece of art; here we chose the Eduardo Santos courtesy of Otomys for the main feature and a smaller feature was the stylist’s own.